By accessing our website, you agree to the following Terms and Conditions. If you do not agree, then you are prohibited from accessing our website. The material on this site is protected by copyright and trademark law. We reserve the right to modify any part of the website at any time if any part of it is inaccurate or incomplete. All material on this site is provided for efficient use and entertainment. We make no warranties for any personal or physical damage caused (including, but not limited to, links posted by other users). We take no responsibility for other websites (such as voting sites) that redirect or have a link to our website. This User License grants you access to our website and allows you to modify it as long as you have permission to do so and you have not broken any restrictions. 1. You are permitted to temporarily download one copy of any material from the website for personal viewing only. 2. To access and use this site, you must be at least 13 years or older. Otherwise, you will require parental consent. 1. Modify or copy any of our materials. 2. Use any of our materials for commercial use or public display. However, you ARE allowed to promote the servers in videos that you create as long as they are positive or meant to increase server popularity. 3. Make any attempts to decompile any software on our website. This license will be removed from any user who violates any of the above restrictions. If a user's license is revoked, they are required to destroy all materials of any form. This includes printed material. We understand that this server is for international use. 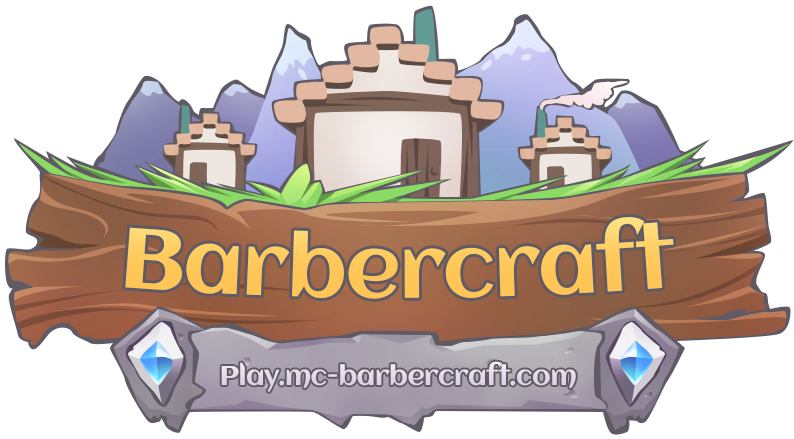 However, any legal matters pertaining to BarberCraft's website will be governed by United States law. 1. Upload any malicious content or viruses. 2. Harass or disrespect any user in any way. 3. Take part in any illegal activities. All users must abide the laws of the United States when accessing this site. 4. Attempt to disrupt access to this website for any user. This includes, but is not limited to, DDoS attacks and flooding (posting excessive amounts of threads or posts). 6. Do any off-topic posting anywhere else besides the "Off-Topic" section.